Are you looking for a brush to clean your food preparation and walk-in cooler floor drains? 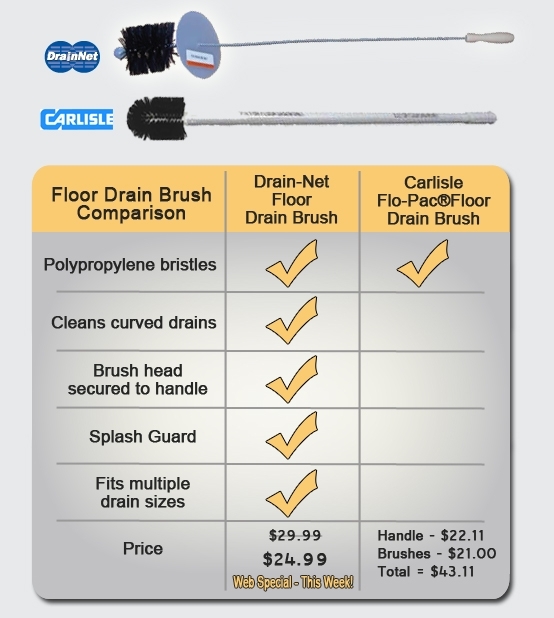 Until now your only option was the Carlisle Flo-Pac® Floor Drain Brush. Thankfully, we have developed an alternative drain brush which has fixed many of the issues people have had with the Carlisle model. Carlisle Drain Brush Problem: Can’t clean curved piping. 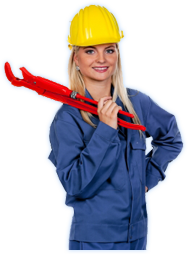 Drain-Net Brush Solutions: Made of durable twist wire to provide strength and “bendability” to clean curved piping. Also features a poly ball on the end to guide smoothly through elbow turns in drain pipes. Drain-Net Brush Solutions: The brush head and handle are one unit so the brush head can’t fall off. 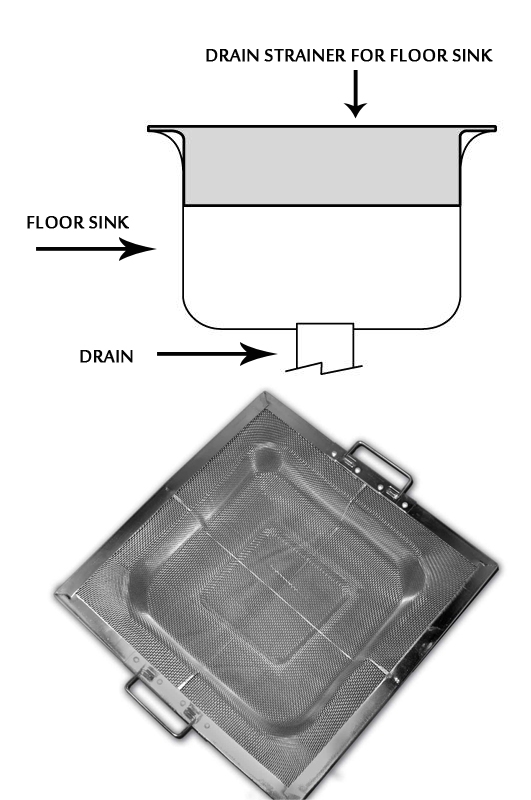 Drain-Net Brush Solutions: Splash guard covers drain while cleaning so you stay clean! Carlisle Drain Brush Problem: You have to buy different brush head for each drain size. Drain-Net Brush Solutions: One size fits 2″, 3″, and 4″ drain sizes. 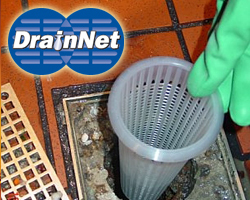 Purchase the Drain-Net Drain Brush today!